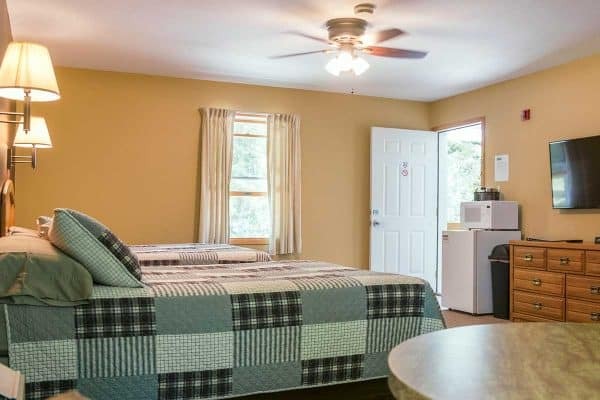 Two Double Beds: All of our 2 Double Beds have capacity of up to four people*, a small refrigerator, and a table with two chairs. We have one handicapped accessible room with a bathtub and shower, so please request ROOM 32. For shower only and non-accessible double bedrooms, please request ROOMS 33 OR 34. 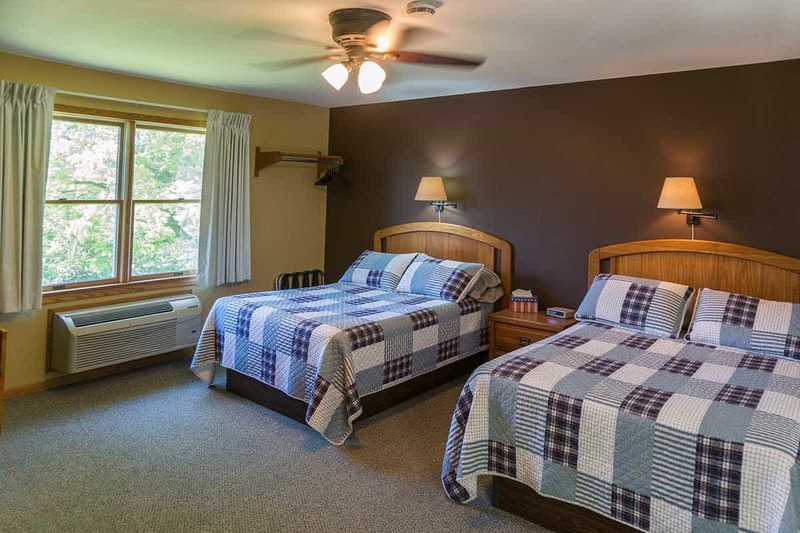 Little Bluff Inn is open year-round, with a 2 night minimum stay on weekends during peak season (May through October). We are Handicap Accessible and we offer secure indoor storage for bicycles & motorcycles. Free continental breakfast is offered on Saturday and Sunday during peak season at Little Bluff Inn! *Room rates are for two adults. Additional adults are $10 each.